The Grand Marshall for the 2016 John Basilone Memorial Parade is John Sturges. 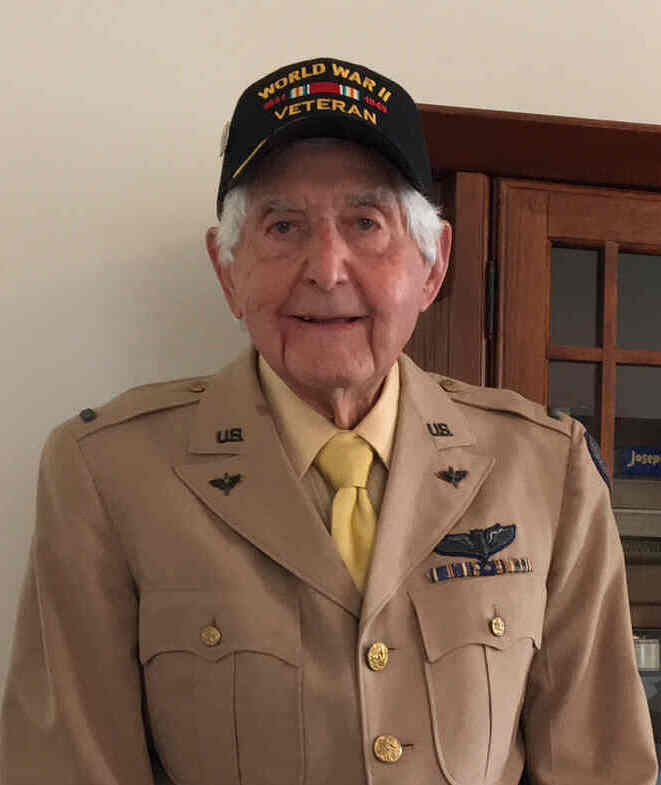 During World War II he served in the Air Force as a bombardier – flying 65 missions on a B-26 bomber. Born in 1919 John Sturges graduated from Flemington High School in 1939. In June of 1941 he joined the Air Force. Like many who joined the Air Force he wanted to be a pilot. 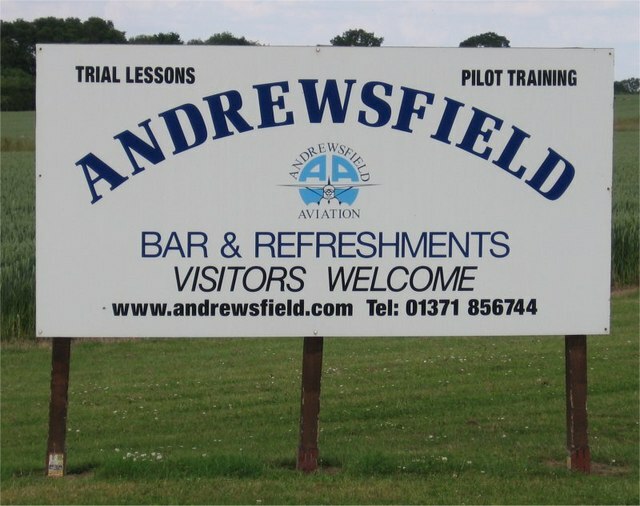 However, only a fraction of those who begin pilot training eventually are approved to be pilots. In training all it took was one shaky landing for him to be reassigned away from pilot training to another position on the plane – bombardier. The training for bombardier included learning to use a new top secret aiming devise known as the Norden Bombsight. He was trained to a fly on a B-26 Bomber. That plane had a crew of 5 to 7 - the usual positions were pilot, co-pilot, radioman/gunner, engineer/gunner, bombardier/gunner and tail gunner. As a bombardier, he had a stressful and critical role. He was positioned in the nose of the airplane which was made entirely of Plexiglas. When seated he could look down and see the ground miles below. He could also see the flashes from any ground based fire known as “flak” being shot at them. 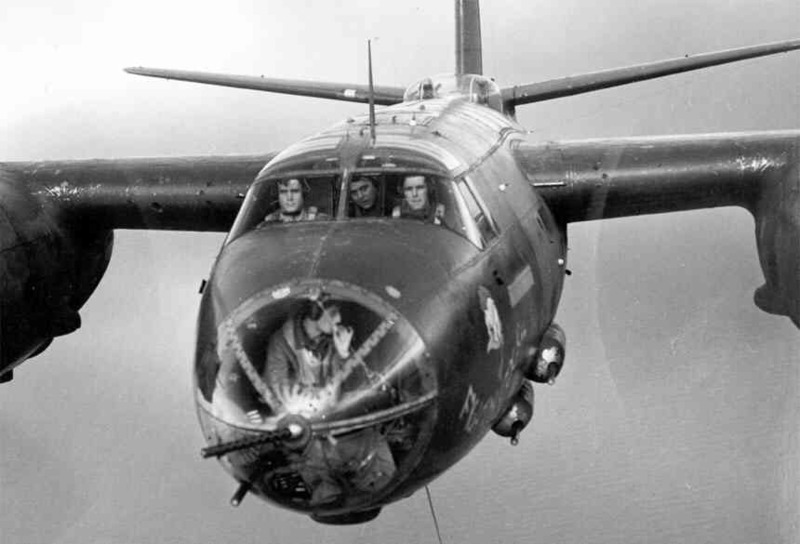 To add to the stress the success of every bombing mission was on the shoulders of the bombardier. And in addition to his bombing duties, he also served as a “gunner” as there was a machine gun mounted in front of him. After training stateside he moved overseas to the battle front in early 1943. There he was assigned to The Ninth Air Force – 322nd Bombardment Group. That group was led by Colonel Glenn Nye. Thus they came to be called “Nye’s Annihilators”. 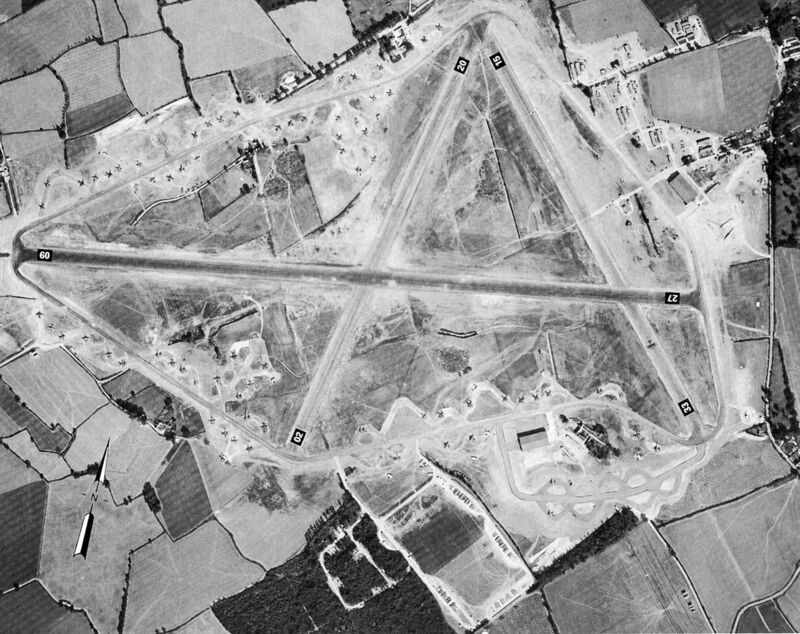 He would be stationed at and flying out of a new airfield - Andrews Field - which had just been constructed for the war by U.S. engineers. It was in the town of Great Saling – in southeast England. 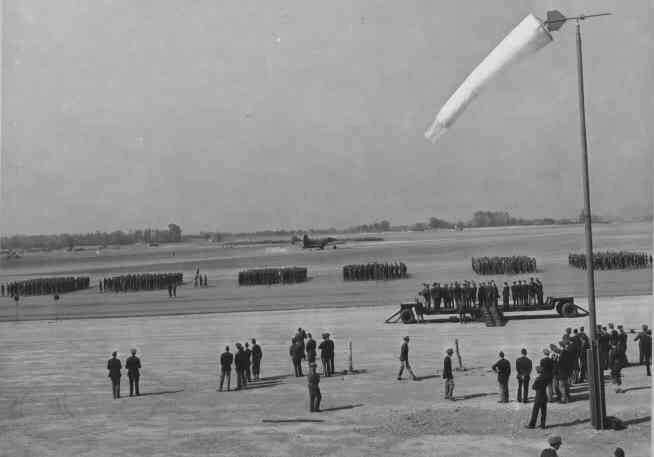 The airfield had eighty B26 bombers – yet it had 2600 men stationed there to support them. John Sturges would fly his first bombing mission from Andrews Field on August 9th 1943. The purpose of their bombing missions were to hit strategic locations in France, Belgium, and the Netherlands – countries that were occupied by the Germans. Their targets ranged from airfields, to railroad stations, shipyards, bridges, and marshalling yards. Since the people of that country were still there care had to be taken to accurately bomb only the locations that were valuable to the Germans. John used the Norden Bombsight to aim the bombs as precise as possible. Before each mission they would have a thorough briefing from a commander who discussed with them the dynamics of the upcoming mission. That included the number of planes that were going, a description of the target, weather conditions, navigation information, and an explanation of why the target had to be destroyed. 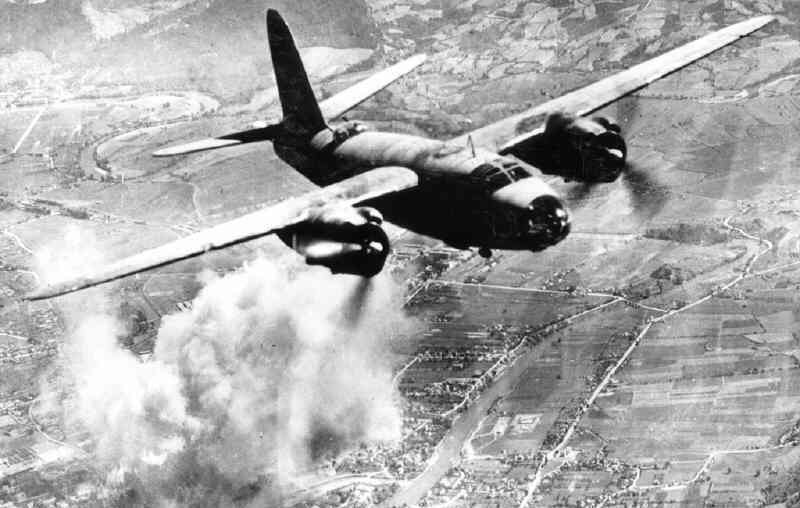 While flying on bombing missions they were attacked by the Germans in two ways. 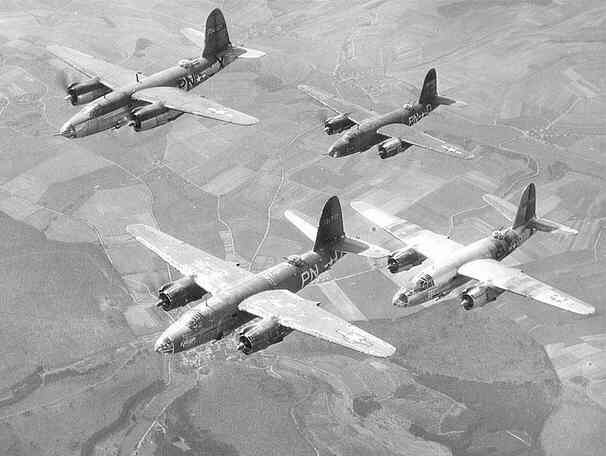 The first was from the guns on the German fighter planes that met the B26s in the air. For defense against this the U.S. flew their planes in a tight formation so that any attacking enemy fighter plane would face dozens of machine guns as they approached. The second way the Germans attacked was by firing powerful ground based guns that sent explosives – “flak” - miles up into the sky. These flak blasts contained small metal fragments which could go right through the steel exterior of the plane and kill an airman. 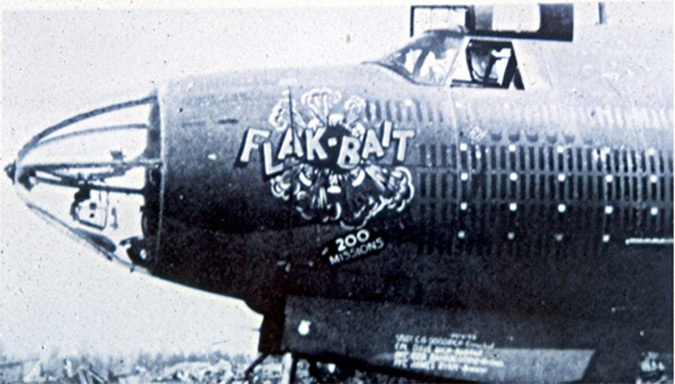 To guard against these fragments when the B-26s approached enemy territory the airmen would put on metal laced “flak suits”. In addition to the enemy there was always another potential danger - airplane malfunction. Many aircraft crashed or caught fire with no help from the Germans. With so many dangers in the sky numerous planes and their crew did not make it back. John Sturges said he lost many friends in the 322nd Bombardier Group. From August 1943 to August 1944 John Sturges would fly 65 missions. One of these was on the morning of D-Day, June 6th 1944, where they bombed the German’s coastal defensive positions. A couple weeks after D-Day - to aid the American ground troops as they moved across France toward Germany - they bombed St. Lo, France. It was a massive attack on the German defensive line. The bombing at St. Lo, up to that time, was the largest airstrike in history. 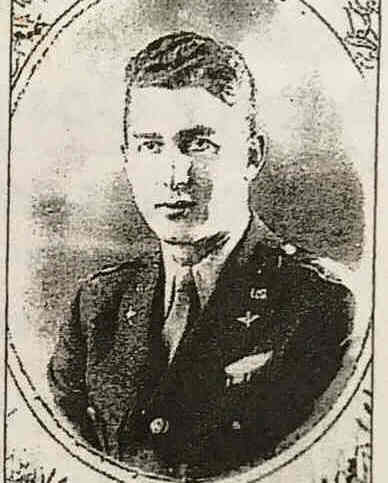 For his flying in World War II John Sturges was awarded the “Distinguished Flying Cross” and “Air Medal with 13 Oak Leaf Clusters.” One cluster is awarded for each 5 missions flow. One plane that John Sturges flew on several times – Flak Bait – has gone down in history. 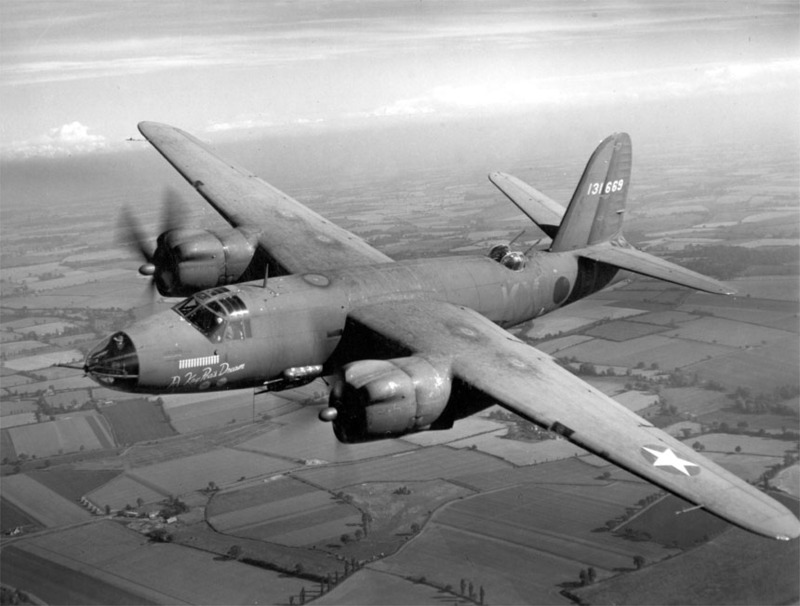 It was the first plane to fly over 200 missions in World War II. 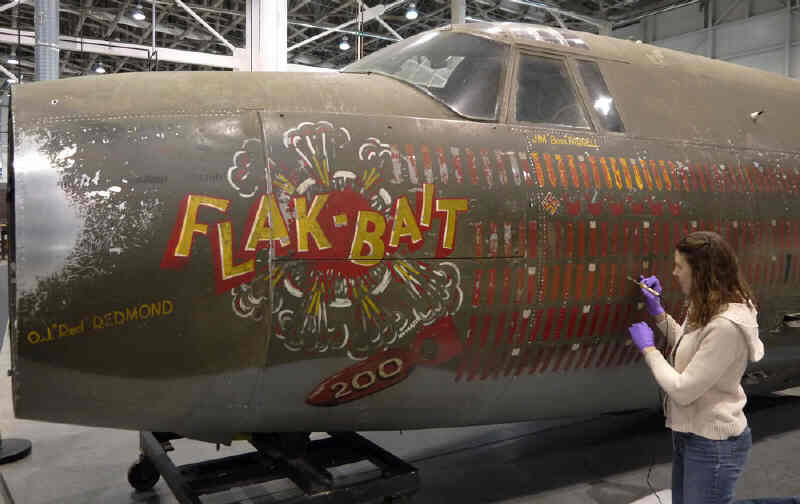 Flak Bait not only survived the war, but it survives to this day as it has been on display at the Smithsonian Air and Space Museum in Washington D.C. .
Decades after the war John Sturges visited the museum to see his old plane. There he was surprised and honored to find his name on a plaque that listed those who rode abroad the plane. After the war he returned home and would meet his wife Bella – they married in 1955. For his career, John, along with his brothers, went into business for themselves. First they purchased the Tewkesbury Inn, but that business did not work out. So they tried again and this time they found much success in the retail liquor business. They would eventually own four liquor stores. One of them was Raritan Liquors on Somerset Street in Raritan. Other stores were in Bradley Gardens and Bernards. For many years after the war John Sturges and his wife traveled about the U.S. to the annual reunions of the 322nd Bombardier Group. However, those reunions stopped quite a while ago as only a very small percentage of the brave men who served in the group are still alive today. In fact, John does not know of one guy from his unit who is still alive. Today John Sturges lives in a retirement village in Somerset with his wife Bella of 61 years. The John Basilone Parade Committee is honored to have John Sturges as the Grand Marshall of this year’s parade.